Sigala is a British DJ, producer and remixer from Norfolk. His debut platinum-selling 2015 single, "Easy Love" topped the UK singles chart, followed by the top 5 single, "Sweet Lovin'" (featuring Bryn Christopher), "Say You Do" (featuring Imani and DJ Fresh), "Give Me Your Love" (featuring John Newman and Nile Rodgers), "Ain't Giving Up" (featuring Craig David), "Came Here for Love" (featuring Ella Eyre) and "Lullaby" (featuring Paloma Faith) among others. He released debut album, "Brighter Days" in 2018. 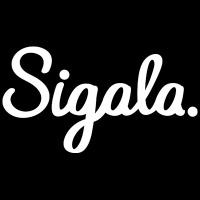 Sat 6th Jul 2019 Sigala, The Jockey Club LiveCarlisle Racecourse (Carlisle)More Info..